Singapore Startup Blockchainfirst on Jan. 26 launched a blockchain-enabled EV/multi-purpose charging station that accommodates electric cars, motorbikes and bicycles. The “Ethan BIoT Charging Station,” as it’s been dubbed, is the first of a planned series of blockchain-enabled commercial products the company intends to introduce this year. An optional, built-in IoT OIracle with as many as six sensors for capturing environmental data, such as nitrogen dioxide (NO2), temperature, humidity, acoustics, light and pressure. Electrical components e.g. relays, power supply, etc. The optional IoT Oracle for capturing environmental data. At the system’s core is a custom-designed industrial SOC (System On Chip) with cryptographic functions built in. The Singapore-based blockchain product/systems developer and consulting company introduced a set of Ethan BIoT devices at International Blockchain Week 2016 in Shanghai. This included a connected remote control gate/door opener, vending machine (candy), smart electricity meter and light bulb, Schaar noted. Positive feedback received from exhibition/conference participants, the blockchain development community and others served to confirm Blockchainfirst’s belief that the organization was on the right track. 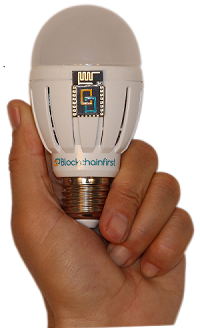 That led the company to invest more in developing practical, easy-to-use blockchain-enabled products, Schaar recounted. 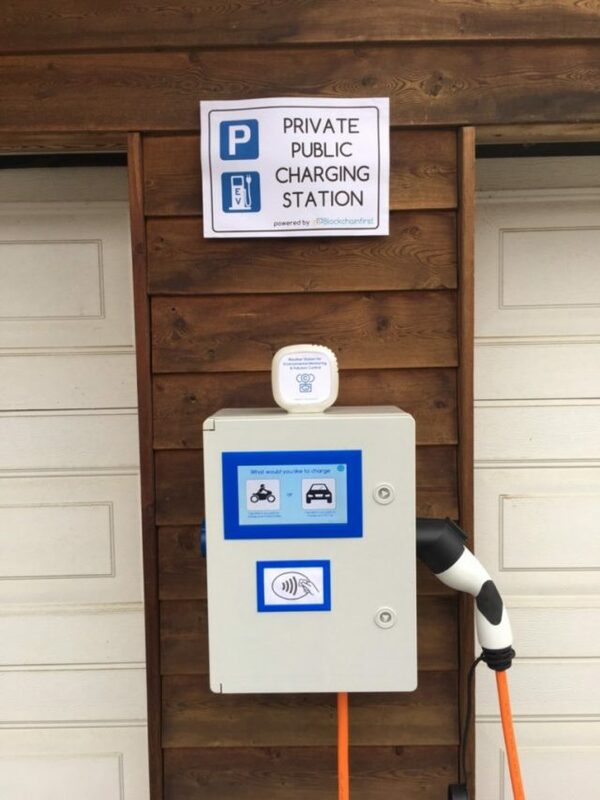 Blockchainfirst isn’t the first to introduce a blockchain-enabled electric vehicle (EV) charging station. Germany’s Slock.it launched a beta version of its Share&Charge peer-to-peer (P2P) EV charging station and mobile app last September. Both Blockchainfirst and Slock.it used the Ethereum platform to develop their EV charging station blockchains. Innovators are combining blockchain and IoT tech elsewhere in the power-energy sector, particularly in the distributed energy-microgrid market space. ¨The earliest adopters of blockchain will likely not be utilities, but other stakeholders,” Navigant Research principal research analysts and report authors Stuart Ravens and Neil Strother wrote in recently released market research. 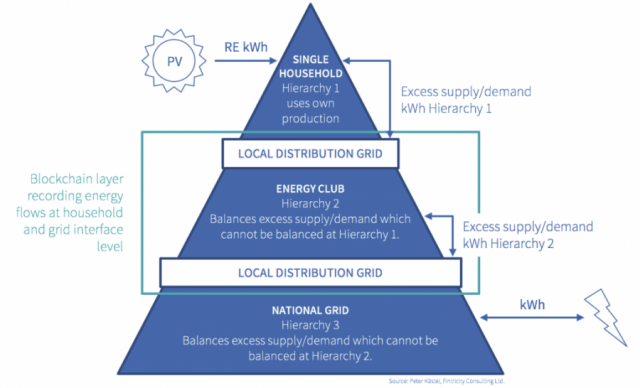 One promising application is using blockchain apps, smart contracts and distributed databases to integrate distributed energy resources into micro- and larger power grids, E7 Ventures founder and CEO David Cohen explained in a Microgrid Media interview. ¨Blockchain technology can be used to synchronize both real-time pricing signals for fast-response grid services with real time phasor control systems in order to balance microgrid operations with the distribution system and wholesale market operations,¨ Cohen said.